Despite its vastly rich cultural heritage, Serbia, still somewhat seen through the lenses of Otherness or be it Balkan exoticism, mostly gets a mention in geopolitical turbulences, as if there is nothing else to the country itself. However, what if someone tries to overcome this seemingly cemented image of Serbia, and moreover, do so through the country’s fashion heritage? Through my MA thesis, Fashion Illustration of Milena Pavlović Barilli, which has been awarded with the highest recognition – The Pavle Beljanski Memorial Collection Award for the Best Thesis in Art History – and later turned into exhibit Maison Barilli: Belgrade / New York, I ventured across Serbia and around the world with an aim to research Serbian fashion heritage and inscribe it on the map of European and global fashion history. At the same time, the goal was as well to further establish studies of fashion in the country which is still dominated by traditional art historical approach to cultural practices. The project started off in Milena’s hometown of Požarevac, where her house has been turned into a memorial museum, The Gallery of Milena Pavlović Barilli. 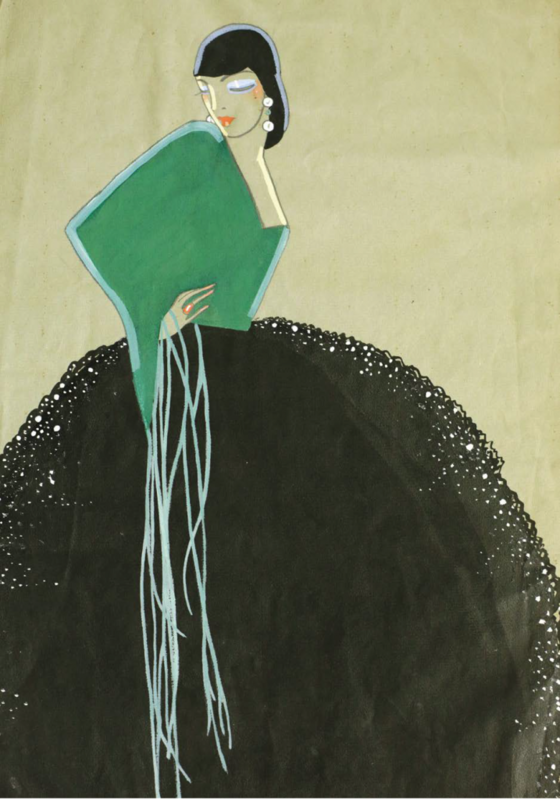 As a student in Modern Art History at the University of Belgrade, I approached The Gallery for the aim of diving deeper in the collection of Milena’s fashion illustrations, which have often been understudied and even negatively perceived by the national academia. These illustrations have been, until very recently, characterized as something that alters the “high cultural” value of her paintings. However, when we take a look at Barilli’s life and work, we encounter an intriguing artistic persona and a multilayered oeuvre, with fashion playing the crucial role in the formation of both. Born to Serbian mother and Italian father in 1909, both artistically oriented, since the early age Milena was immersed into arts, and more importantly, travels. The earliest childhood drawings, a certain snippets of her travels between Serbia, Austria, Italy and France with her mother uncover the fascination with Poiret and Worth, whereas photographs of herself dressed in various costumes suggest that fashion was not simply a template quoted in her work, but a valid aesthetic system she was structuring on her own. When Belgrade, the capital of Kingdom of Serbs, Croats, and Slovenes was recovering from the cataclysm of the WWI and offered a vibrancy of art deco and the roaring twenties, the artist moved to the Royal Court (her mother was a relative to Karađorđević Dynasty) to start her higher education at The Royal School of Art. 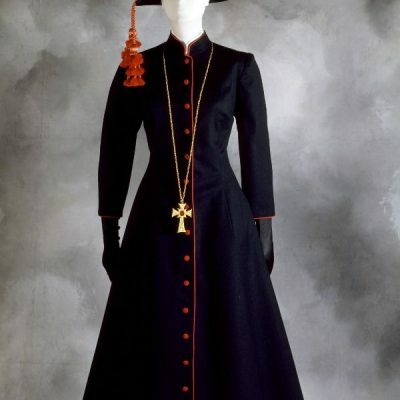 As Queen Maria and Princess Olga were the Kingdom’s biggest consumers of haute couture, wearing Cartier, Patou, Molyneux, Lelong, Worth, and Redfern, Barilli got acquainted with the poetics of these designers and incorporated it in her school work. 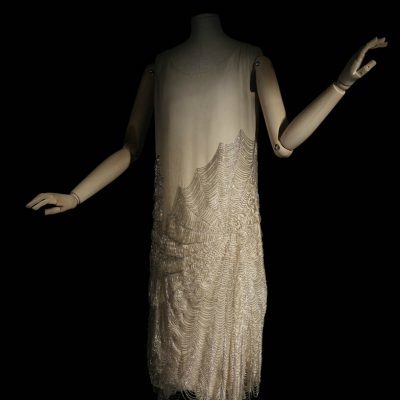 More importantly, the Court had a cinema where she was able to catch a glimpse of Hollywood glamour and the allure of its costumes, and soon after moving to Munich to continue her education, she enriched her expression with Hollywood fashions. 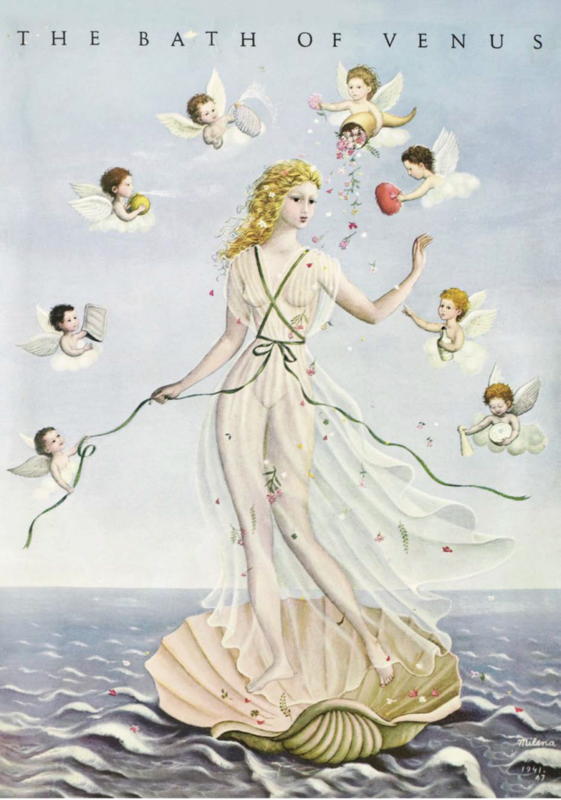 A the beginning of 1930s, the artist found herself in Paris, following the hype of Surrealism in fashion and creating a unique fusion of her fashion illustrations inspired by Schiaparelli, Chanel, Vionnet, with fine arts and poetry. In Paris she remained until the beginning of WW2, when she, among many Europeans (and fashion itself) moved to New York City. 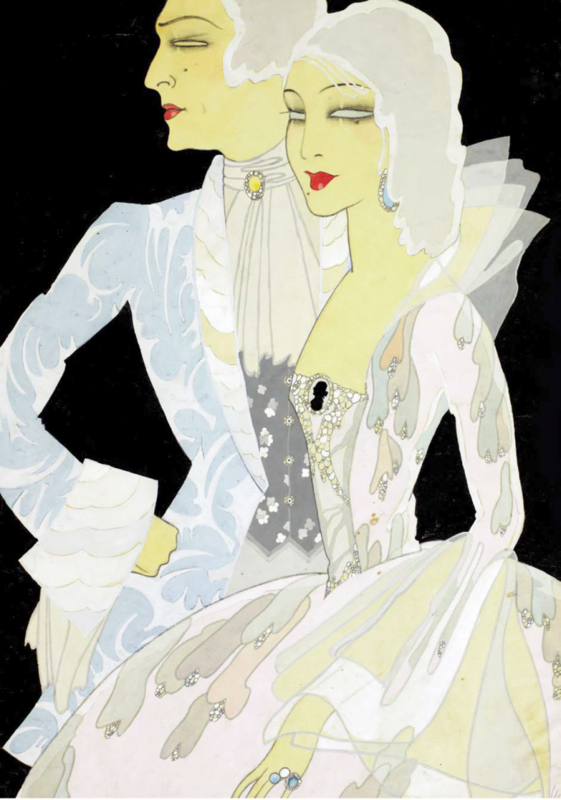 Soon upon arrival, the artist was commissioned to illustrate for the US Vogue. 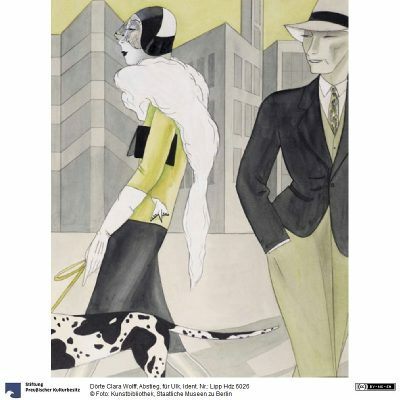 In the words of Frank Crowninshield, the magazine’s art editor, who wrote the foreword for the catalogue of Milena’s first exhibit in the USA, her works are essentially modern and unique phenomena in the world of American art, combining European traditions (Italian Renaissance and De Chirico particularly) with contemporary and popular demands of the USA. 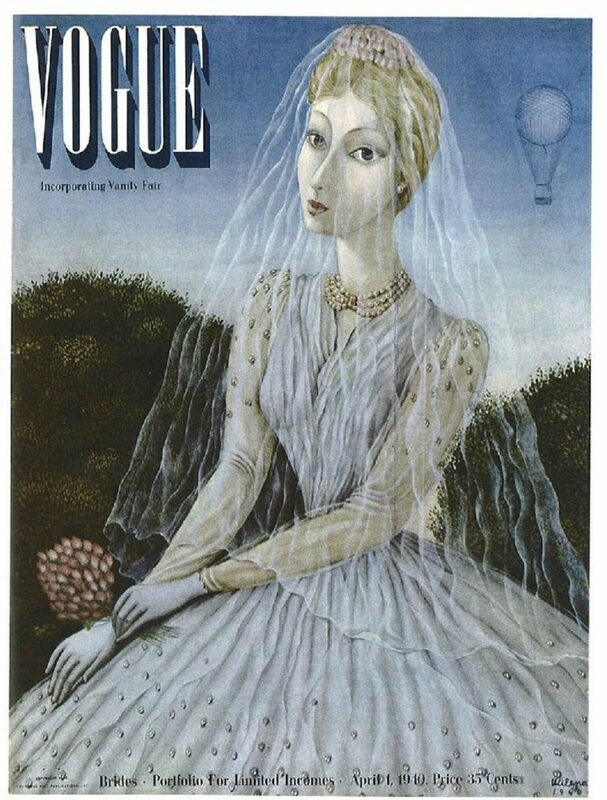 In fact, she is the only Serbian artist whose illustration is featured on The US Vogue’s cover page, and one of the very few Eastern European female artists whose work was selected by Peggy Guggenheim for her Exhibit by 31 Women, alongside art history’s famous names like Frida Kahlo, Leonor Fini, Leonora Carrington, and Dorothea Tanning. Milena Pavlović Barilli died in New York on March 6th, 1945, while the urn with her ashes is at Testaccio Cemetery in Rome. The œuvre of Milena Pavlović Barilli further positions Serbian art in the frameworks of the international artistic heritage, and rightfully opens a new chapter in fashion history which deserves future readings. 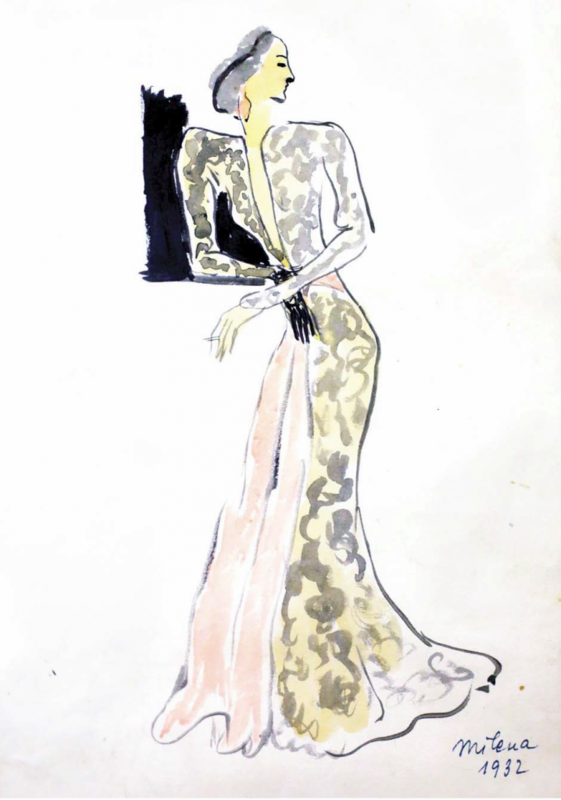 As such, is of great importance to respectfully acknowledge not only fashion illustrations of Milena Pavlović Barilli, but as well designs of Bernat Klein and Roksanda Ilinčić due to their uniqueness and international significance as Serbia’s very own contribution to the global fashion heritage. Stefan Žarić is an independent curator in the field of fashion theory and history based in Serbia. 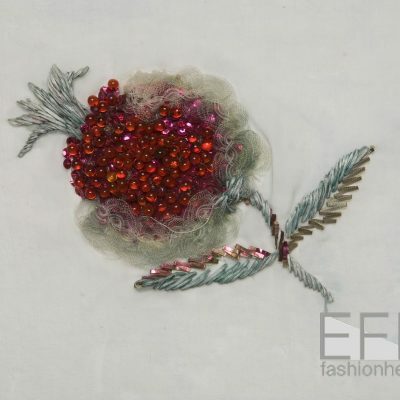 After completing his studies in the USA, Estonia, and Serbia, Stefan is actively working on the promotion of fashion studies in the country and Serbian fashion heritage internationally. He is the author of the first study on fashion museology in Serbia, as well the book One Study of High Fashion and High Art.